: I was travelling to the Airport going back home to Scotland in USA when I heard it announced in the back of the car, my heart sank, I was devastated, couldn't believe people going about there business like nothing happened, my world stopped.. Thank you for your comments and sharing your memories on our survey. Elvis was very good looking and he was lucky enough to be sooo handsome to the end. I agree with you Lily, it is very hard to choose only one favorite song, I love sooo many myself. Blue Hawaii is my most favorite movie; I love the wedding song and scene in it. Lily, I really hope you have the chance to visit Graceland, I believe it`s a very touching experience. Some fans have said you can feel Elvis` presence on entering his home, you almost expect Elvis to come down the staircase. I also someday hope to make the trip to visit his home. 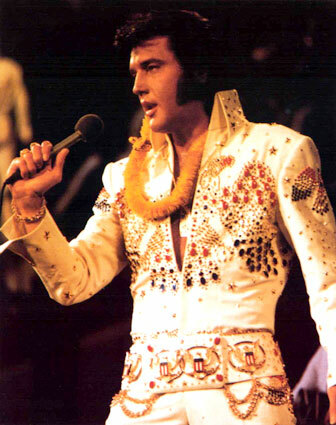 Lily, the team at `Elvis Presley Forever` wish you and your family all the best!